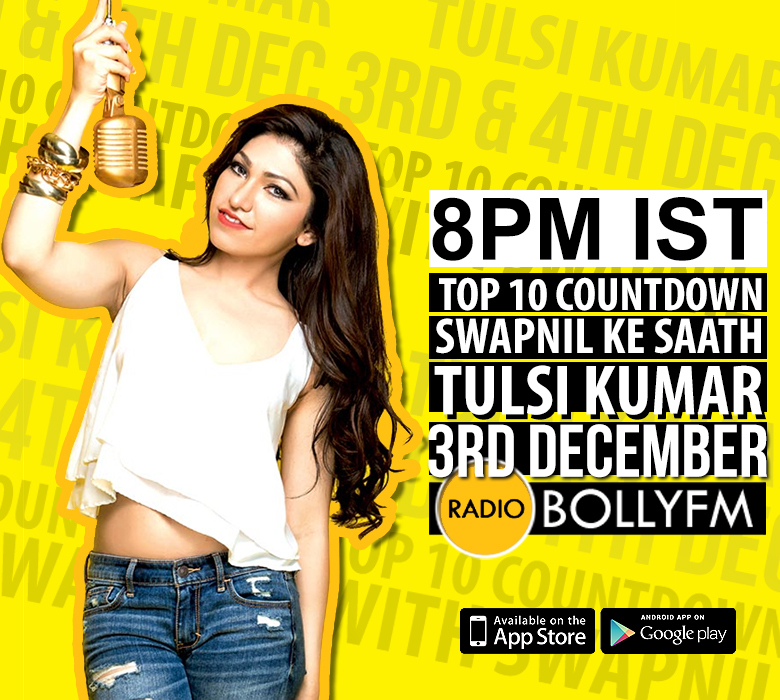 Tulsi Kumar is an Indian playback singer and actress, born to Gulshan Kumar and Sudesh Kumari. Kumar has two siblings Khushali Kumar and Bhushan Kumar. Catch her on Top 10 Countdown show with RJ Swapnil , When Swapnil flaunts his comic sense, he is an absolute example of ‘expect the unexpected’. With his crazy conversation, he has built an amazing fanbase. His spontaneity and wit is one of the most cherished characteristic of his personality. He loves talking about little details of everyday life which make listeners feel instantly connected to him.